Digital Biological Microscope with internal Camera GR-D8T2 – Shodensha Vietnam Co., Ltd.
Digital biological microscope is a combination system of a biological microscope and a 1.3mega pixel camera. 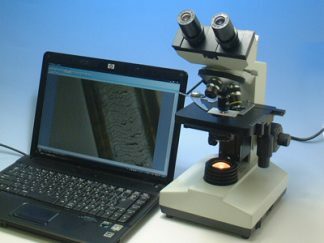 It is possible to directly observe the preparation through the microscope’s eyepiece lens or real-time display, observation, and take the images on the computer screen via USB by using the digital biological microscope GR-D8T2. By using the Observation of sump method can observe bacterium of blood, and plaques etc.,And can use to observe the cuticle of hairs by the expand fields. Basic measurement such as the distance between 2 points can be done by using the measurement software. With this method, we can take the image of very fine and detail structure of object and observe it. 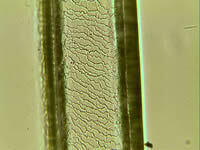 It is the most suitable to observe non-translucent objects such as plant’s stoma or hair’s cuticle. Such method widely is used by biological microscope.